Tanea Moniquex | Celebrity Entertainment News, Fashion, Music and Advice: Kanye West Grants White A.P.C Designer Permission To Name Collection "Last N****s In Paris"
Kanye West Grants White A.P.C Designer Permission To Name Collection "Last N****s In Paris"
Outside of rapping Kanye West has expressed his love for fashion and revealed his eagerness to launch his own brand after assisting in different collaborations. 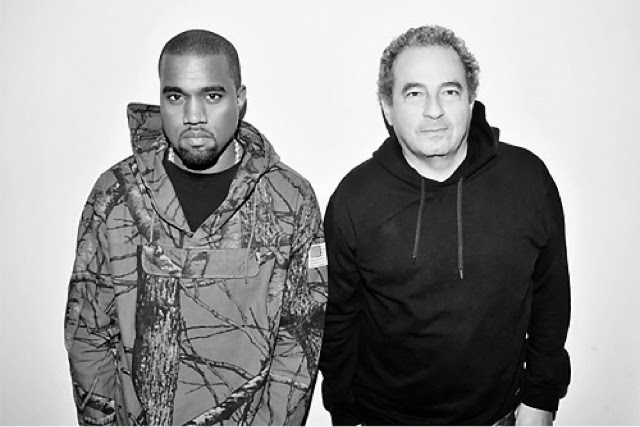 Back in 2013 Kanye West teamed up with French designer Jean Touitou to put together a 10 piece collection starting at $120, which sold out instantly. "I call this one look Last N****s in Paris. Why? Because it’s the sweet spot when the hood meets Bertolucci’s movie Last Tango in Paris. So that’s ‘N****s in Paris’ and Last N****s in Paris." He continued. "I mean, it’s nice to play with the strong signifiers. The Timberland here is a very strong ghetto signifier ..."
He admits Mr. West granted him permission to use the term after presenting him the collection in an email, Kanye replied with "I love this vibe".